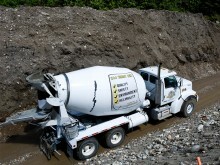 For more than 30 years, H&J Ready Mix has been providing ready mix concrete,paving services, and gravel sales to the Revelstoke region. We set ourselves apart from other concrete suppliers by owning and managing our own gravel pit, which ensures we can supply the type of concrete you need when you need it. 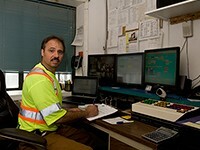 Our focus on quality, and superior level of service and professionalism, backed by an outstanding safety record, have made us the supplier of choice for a wide range of customers, including the City of Revelstoke, School District #19, BC Hydro, Revelstoke Mountain Resort, as well as homeowners, residential and commercial contractors, and industrial companies. Our team of trained and experienced drivers, concrete specialists, and plant operators, many of whom have been with H&J Ready Mix for more than 15 years, are committed to completing your project on time to your specifications and within your budget. H&J Ready Mix is a proud member of the Revelstoke community. We’re the primary sponsor of the Revelstoke Grizzlies Junior B Hockey Club, and we support initiatives such as CrimeStoppers, Queen Victoria Hospital Auxiliary, and Community Connections. You’ll also find us at local community events such as Trees for Tots and Revelstoke’s yearly pro-am golf tournament. H&J Ready Mix is a division of Interoute Construction Ltd., an integrated group of companies servicing communities throughout British Columbia, with operations that include ready mix concrete, hot mix asphalt production, road construction, excavation, materials crushing, and underground construction. H&J Ready Mix joined the Interoute group of companies in 2007. We're proud to be a part of the Revelstoke Dam Generator #5 project. H&J Ready Mix supplied custom concrete mixes and overcame challenging pour conditions to complete generator construction at Revelstoke Dam generator #5.